A chain of American sports bar, B-Dubs has chosen Hyderabad for opening its first outlet in India. Although a non-vegetarian's paradise, B-Dubs has something extraordinary to offer even for the vegetarians. It boasts of an amazing spread of innovative desserts, my favourite amongst which was Dessert Nachos. 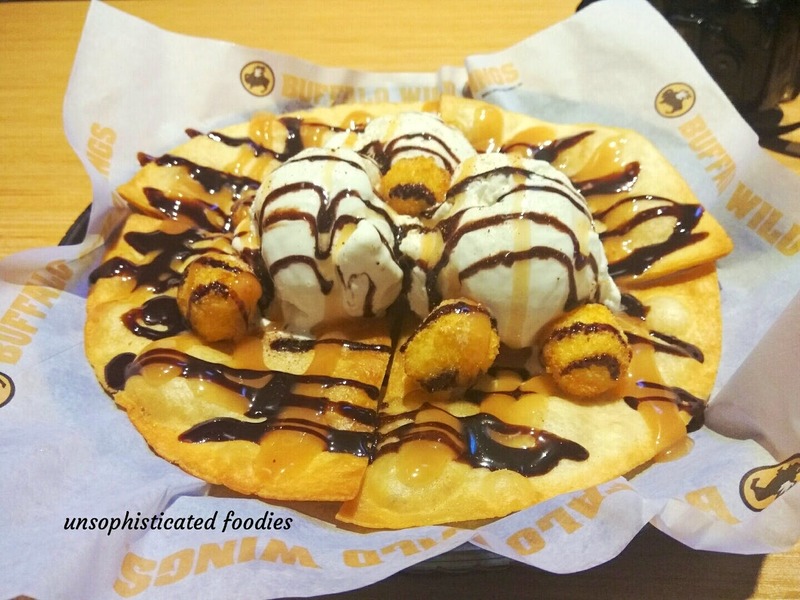 This delish dessert comprises sugar and cinnamon tortillas topped with three huge scoops of vanilla ice cream, coupled with fried cheesecake bites, and drizzling chocolate and caramel sauce. If you're looking for something extraordinary to satiate your sweet tooth cravings, treat yourself to a plate of Dessert Nachos. They currently serve alcohol only on weekends so schedule your visit accordingly. Love your Xbox way too much to leave home and visit this place? Don't worry, you can play it here without paying any extra charges.